Finally, unbiased expert information on skin care products and anti-aging treatments, from a nationally-known cosmetic dermatologist. Virtual cosmetic consult, video demonstrations, and a skin care test on SkinTour.com give users an easy-to-use resource on skin health and beauty. All content comes from Dr. Brandith Irwin, a cosmetic dermatologist, author, and guest skin expert on the Oprah Show. Look at me! I'm forty-something, and I want to know what skin care products and anti-aging treatments work. But I don't know where to go for information I can trust. Beth Uri pointed to her face, "Look at me! I'm forty-something, and I want to know what skin care products and anti-aging treatments work. But I don't know where to go for information I can trust." Dr. Brandith Irwin, a skin expert on The Oprah Winfrey Show and board-certified dermatologist in Seattle, has the answer: SkinTour.com, an interactive website with Dr. Irwin's expert info on skin care and anti-aging. 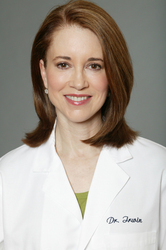 As Paula Begoun, best-selling author of Don't Go To the Cosmetic Counter Without Me says, "Dr. Irwin is one of the few independent voices in the medical world today who can help consumers make educated decisions about procedures and medical options so they can stay as young as they can for as long as they can." SkinTour.com contains information from one expert source: Dr. Irwin herself. And Dr. Irwin knows cosmetic and medical dermatology. She recently published her second book, The Surgery-Free Makeover: All You Need to Know for Great Skin and a Younger Face (Da Capo 2008). She is board-certified in internal medicine as well as dermatology and sees patients at the clinic she founded in Seattle in 1999, Madison Skin & Laser Center. Dr. Irwin's information and opinions are also unbiased, a rare commodity these days when many doctors take money from cosmetic companies or device manufacturers. Dr. Irwin does not represent any skin care product line or device manufacturer and has no financial ties to any of those companies. SkinTour.com offers a "virtual" cosmetic skin care consultation. Users can customize a face and then roll their cursor over different cosmetic issues, like frown lines or brown spots, to see the various treatment options for that issue. SkinTour's Anti-Aging Tour, a self-guided tour of cosmetic, anti-aging, and skin care issues. A Skin Care Test and Acne Test where users get their own Skin Care Profile, with skin care product recommendations. Video demonstrations of Botox, Restylane, Juvederm, and laser treatments, as well as Dr. Irwin's video blog postings on hot topics in skin care. Articles on topics ranging from cosmetic treatments to skin care products to acne, rosacea, and skin issues during menopause. And now forty-something Beth Uri can see what anti-aging treatments and skin care products might work for her. "SkinTour is the most informative site I've seen out there," she says.